Microscopic image of Hemimastix kukwesjijk, a new species of hemimastigotes. A new paper published this week in Nature offers the first genetic analysis of hemimastigotes—a rare and poorly understood group of single-celled microorganisms. 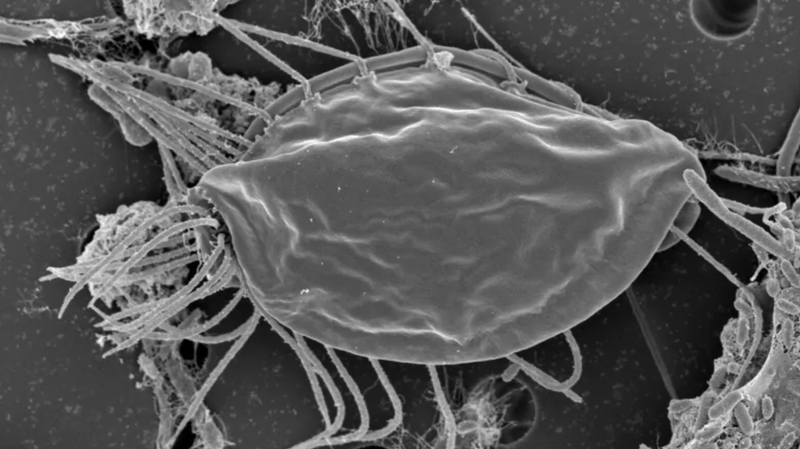 Biologists have known about these wee beasties for well over a century, but only now can hemimastigotes be officially slotted into the evolutionary tree of life, a process more formally known as phylogeny. And by doing so, scientists have stumbled upon a completely new branch on the tree of life—one dating back billions of years. A sampling of the hemimastigotes analyzed in the new study. To group these kingdom-level eukaryotes even further, scientists created one “supra-group,” called Diaphoretickes, that lumped four similar super-groups together (see diagram below). The purpose of this organizational scheme is to sort and cluster species according to their relation to common ancestors, rather than by their physical characteristics or other attributes. Praise aside, Hejnol said it’s important to remember that categories such as “supra-kingdom” and “super-group” are simply “anthropogenic categories” that scientists use to classify and organize organisms—meaning, they’re a human construct subject to change as our understanding of biology changes. Moving forward, it’ll be interesting to see if other scientists agree with this classification. As noted, there are other species of hemimastigotes; perhaps further phylogenetic research will affirm the creation of this new supra-group, or it could inflame this debate even further. If anything, this discovery shows the need for improved ways of describing and classifying organisms along the highest branches on the tree of life.